As LEDs go, we'll be amazed if you can find brighter than these, they really are 'super bright', even in the daylight. They use next generation LEDs based on COB (Chip on Board) technology, which offers greater brightness and efficiency over traditional LEDs. Furthermore, in comparison to standard LEDs, COB LEDs don't have a casing which allows for a much denser LED array. The result is a light beam without any visible individual light points. When it comes to multirotors, LEDs have several uses. Obviously night flying is one of the main uses, but another relates to orientation. Multirotors are mostly symmetrical which makes orientation challenging. In this respect, LEDs can be used to provide a clear directional indicator. LEDs also come in handy for FPV racing. Mini quads are actually quite hard to see on FPV video, especially if you are racing at full speed through a field of trees. These LEDs make great tail lights for FPV mini quads. Attach one to your racing drone and it will be like carrying a collapsed sun around with you for your mates to follow. 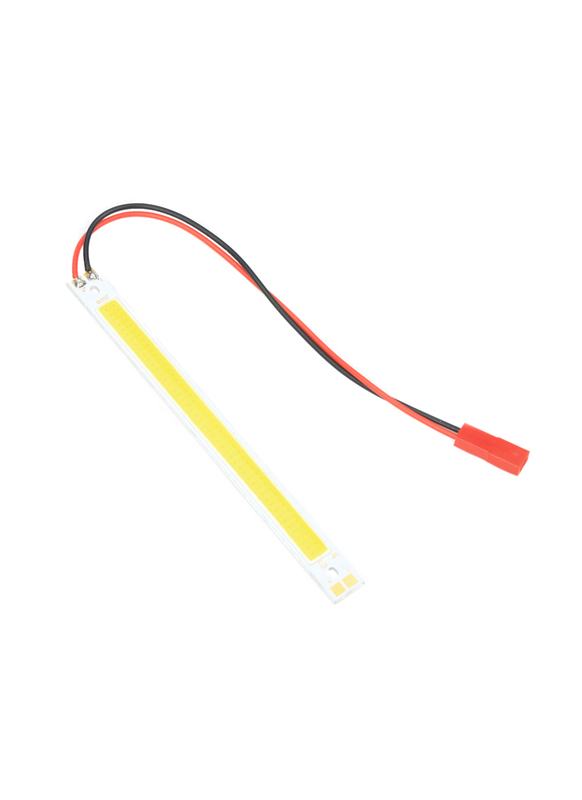 This particular LED light bar runs off 12volts (3S LiPo) and thanks to its JST connection, the wiring is straightforward. 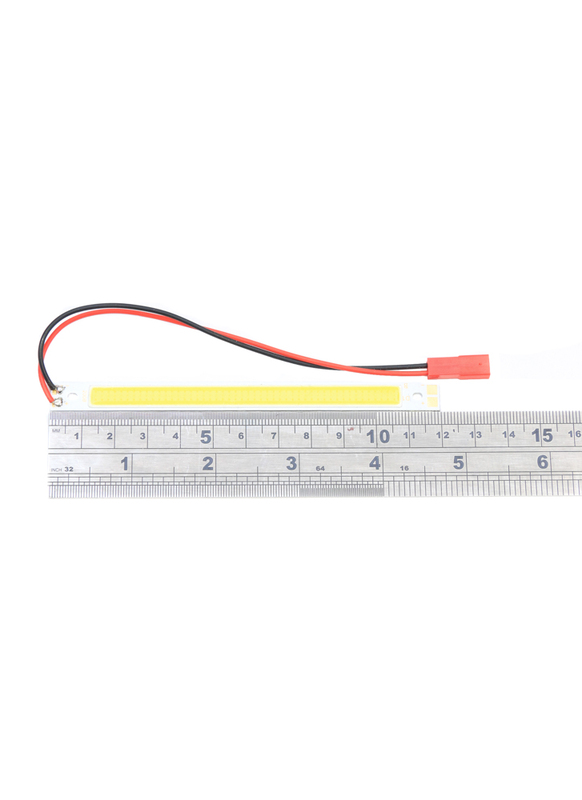 We sell a 3S balance lead adapter, which make connecting up and powering it plug and play with a 3S LiPo. The light bar measure 120mm by 50mm, so it's plenty big enough to be seen even from some distance. We also sell a shorter LED light bar here. Hi Russell, the LED doesn't have a RC switch function built in, it's literally on once you provide power to it. I do have some RC switches which would let you switch it on/off via your Tx - I haven't got them listed on the website yet. If you're interested please send me an email to info@flyingtech.co.uk.